Westland Buxus Feed maintains plant health by helping to improve tolerance against pests and diseases. 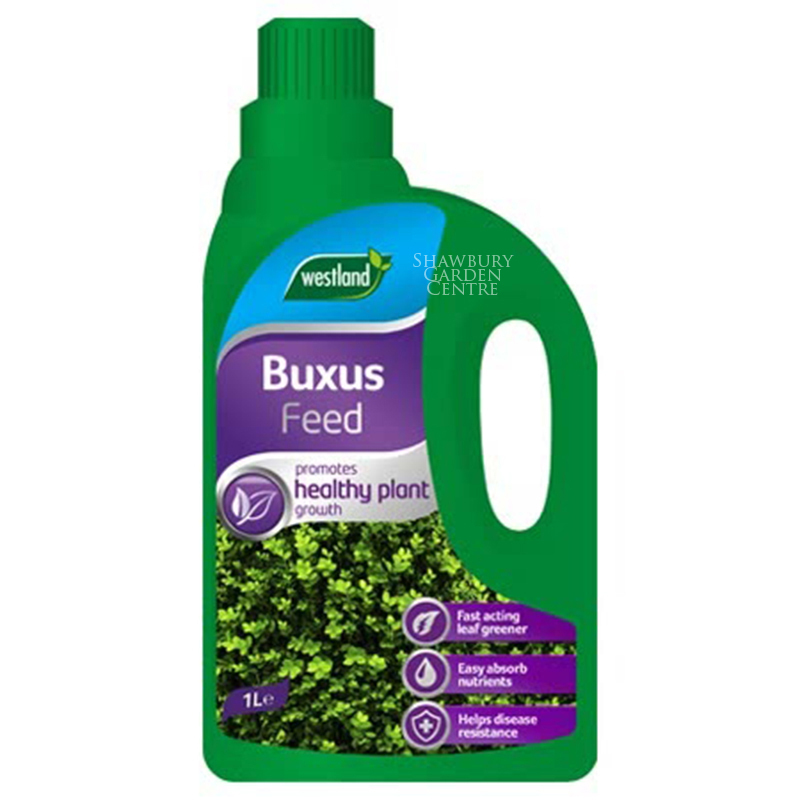 Combined with a moisture control booster, a natural stimulant for root growth and trace elements, this Buxus Feed restores and protects plant healthy, develops roots and keeps leaves healthy and green for longer. If you would like further information about Westland Buxus Feed, please contact our garden centre at Shawbury just outside Shrewsbury in Shropshire, by calling 01939 251315 or emailing.